This past summer, while beaches in Fukushima were re-opening, UN experts were assessing how the nuclear disaster impacted people’s physical and mental health. The ending of government housing provision and living stipends for people from Fukushima in April 2017 greatly reduced the official numbers of disaster evacuees. 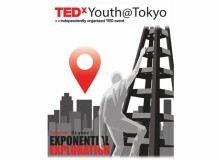 Whatsmore, by making people from Fukushima invisible it gave the impression that problems were solved. I spoke with several NGO leaders about their work and the issues people from Fukushima face today. Meri Joyce, International Coordinator at Peace Boat, has been working on international programs and campaigns such as nuclear disarmament and Kazue Suzuki is an Energy Campaigner at Greenpeace Japan. The impossible choice of returning to areas too contaminated to safely live or face economic hardship only exacerbates the victimization of the displaced in Fukushima. 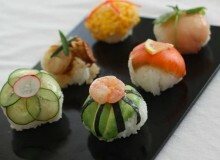 The lack of support systems, Suzuki said, resulted in people falling into poverty. Joyce further explained that it is hard for people to put down roots even if more areas are designated as “safe” because hard and soft infrastructure were lacking. Even if school buildings are safe, who will work in those schools? If businesses get up and running, are there any customers? Greenpeace has served as witness to environmental risks in more than 55 nations for 47 years using non-violent direct action, advocacy and public education. Within days of 3/11, Amsterdam-based Greenpeace International dispatched experts to assist Greenpeace Japan with ocean radiation monitoring from a ship off the coast of Fukushima while other staff assessed terrestrial effects. 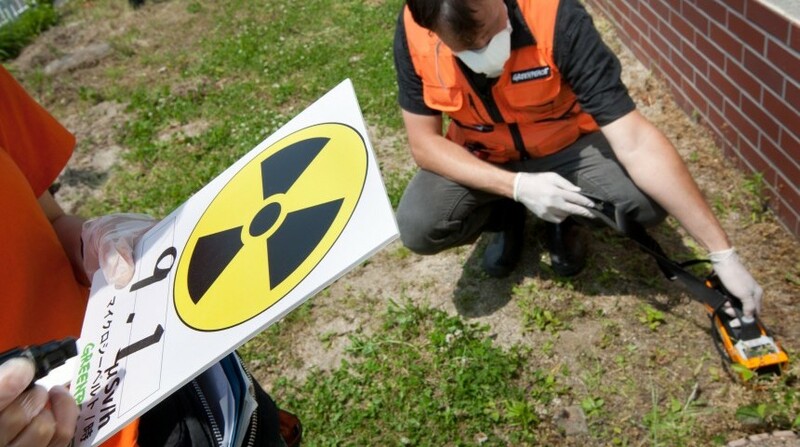 Concerned that government radiation estimates were too conservative, they shared their radiation readings with governments, media and general public. 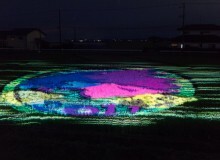 To keep Fukushima visible, they release annual reports on radiation levels, the nuclear power industry and the socio-economic and health impacts the disaster on communities that depend on the nuclear power industry. Their 2017 report spotlighted rights’ violations — particularly those of women and children. A 2018 study shows that Fukushima radiation risks are expected to last into 2050 in some exclusion zone towns. Since its founding, about 35 years ago, Peace Boat has been trying to stimulate public discussion on energy, nuclear weapons and development at the local, national and international levels. Joyce shared examples of how issues have impacted their ship programs. Since 2008 they have invited Hiroshima and Nagasaki hibakusha (people who experienced atomic/nuclear bombings) to join Peace Boat cruises where they share their experiences at ports of call. Students on board learn from these elders while also engaging in dialogue about what should be done to build a nuclear-free future. Since 2011, voyages have included sessions on learning from Fukushima and, in 2014, they launched the Fukushima Youth Ambassadors program. This provides youth the opportunity to leave social pressures behind and learn about struggles people face all over the world, while also discovering more opportunities for their future. Students who joined as junior high students after the disaster are now in university and mentoring younger students. 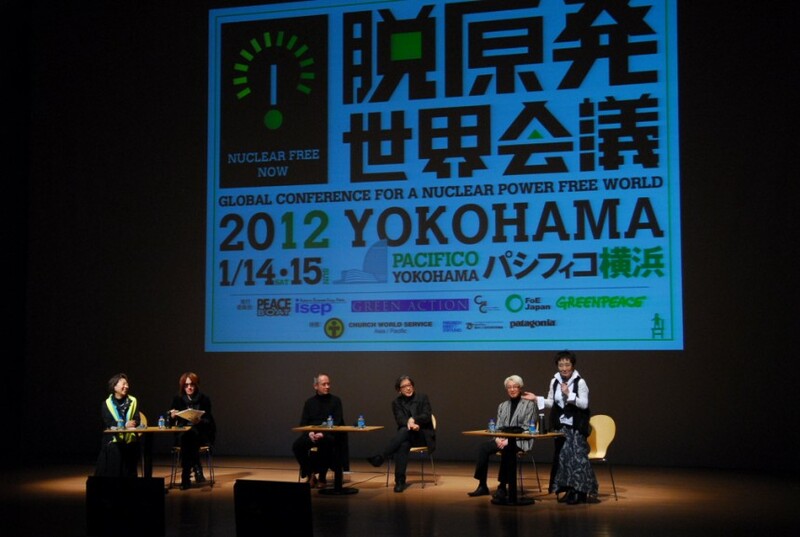 In January of 2012, in partnership with Greenpeace Japan (and others), Peace Boat organised the Global Conference on a Nuclear-Free World in Yokohama, to create a platform for a nuclear-free future and to build bridges between activists and ordinary citizens. 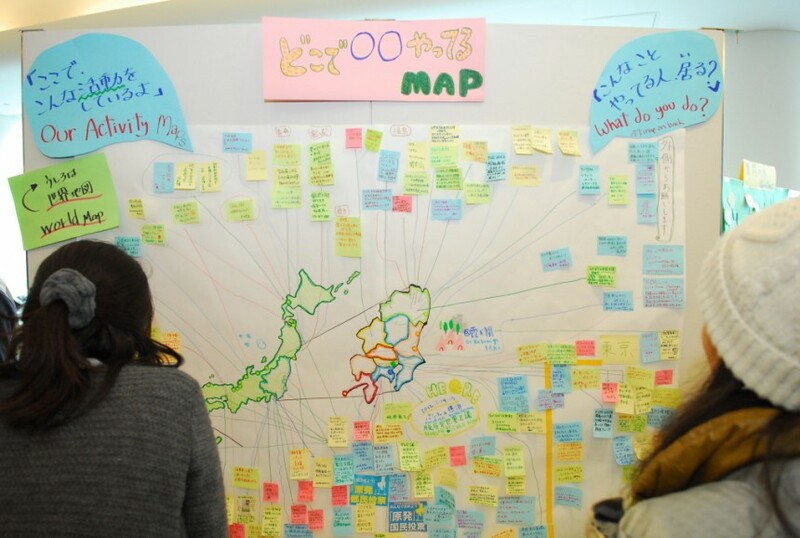 An outcome of the Global Conference was the close collaboration between Peace Boat and the Fukushima Action Project (FAP), a local citizens’ group made up of residents and community leaders who have activated public engagement with government officials. The contents of the local nuclear power education center opened for school visits has been a focus point for dialogue. Some feedback has been incorporated, but given the gap in perspectives about nuclear power, FAP still works directly with the public. According to Joyce, an ongoing Peace Boat priority is to connect the local community to Tokyo and the international global community, so they support FAP by sharing access to the general public, international organizations and donors. The “Lessons from Fukushima” booklet, created by a group of organizations, including Peace Boat, has been translated into 14 languages. Reaching people in countries such as Turkey and Poland where the Japanese government has been promoting nuclear power is part of their global strategy. While the official stance is that Japan can provide the safest power due to the Fukushima experience, the booklet illustrates real experiences and impacts. 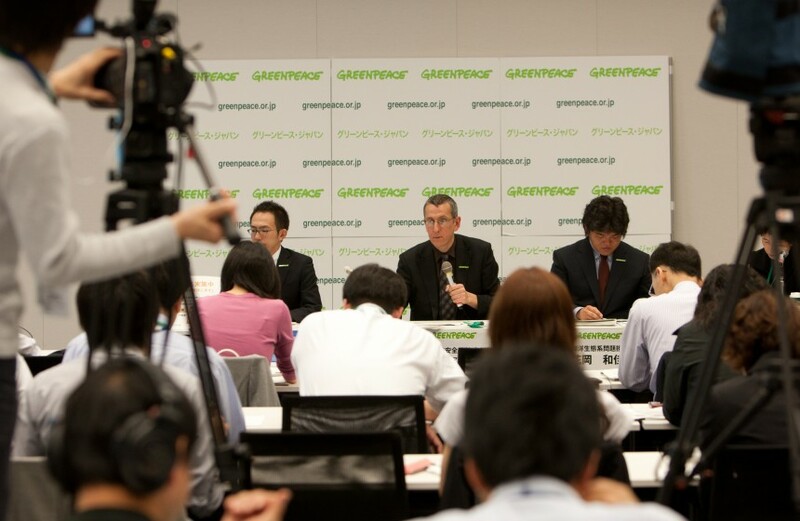 Greenpeace Japan has been working with organizations such as Save the Children, Human Rights Now! and the Japan Bar Association to make the plight of people from Fukushima understood and have the voices of the people heard. They put pressure on the government by utilizing existing processes under international treaties and UN Human Rights systems. They have suggested new legislation in support of the victims such as free medical check-ups and treatment, radiation protection systems, establishment of the right to evacuate, dissemination of radiation protection information, participation of victims in decision making processes and the adaptation of UN principles for internally displaced persons. Both organisations have directly engaged policymakers and bureaucrats in dialogue on energy policy, but activating the public remains necessary. Suzuki explained that local activism has been important for keeping the restarts of power plants at bay. Joyce added that decisions to restart plants are at the local government levels, but they need our support here in the capital where the media is based and where national policy decisions are made. As this summer has shown, we do not know when the next disaster will strike and how our own lives may be affected, so we all need to get involved and not be under the false impression that everything is alright due to a lack of information.